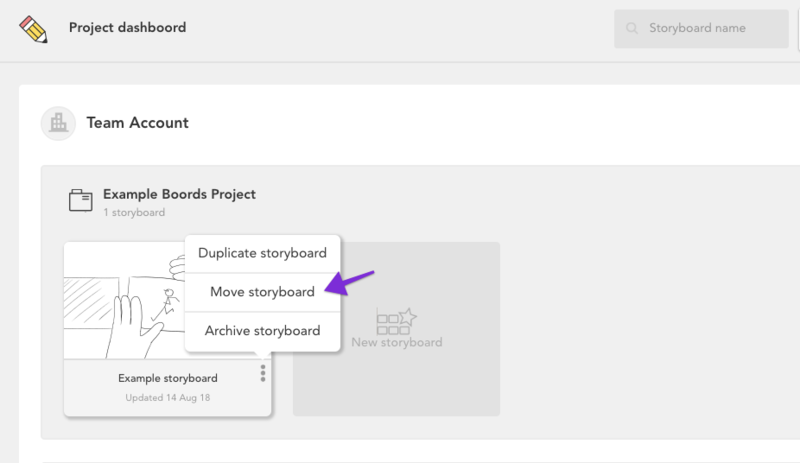 You can move a storyboard to a project that you have admin access to (i.e. it's in your account, or within a Team you are an Admin for). To do this, hover over the three grey dots on your storyboard. Choose the Move storyboard option, then select the project you'd like to move the storyboard to from the dropdown menu.